At the start of the first semester under this new decree, a mere five boys have been accepted, effectively splitting the student body into a ratio of two hundred girls to one boy. Kiyoshi, Gakuto, Shingo, Andre, and Jo are quickly cast away without having a chance to make any kind of a first impression. Unable to communicate with their fellow female students, the eager boys set their sights on a far more dangerous task: peeping into the girls’ bath! It’s only after their plan is thoroughly decimated by the infamous Underground Student Council that the motley crew find their freedom abruptly taken from them, as they are thrown into the school’s prison with the sentence of an entire month as punishment. 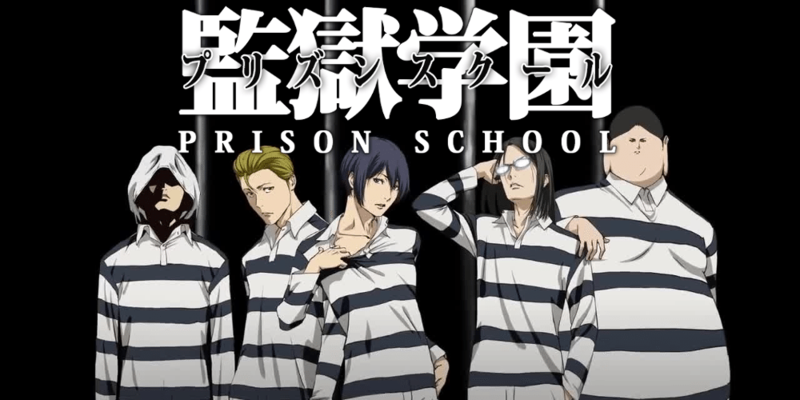 Thus begins the tale of the boys’ harsh lives in Prison School, a righteous struggle that will ultimately test the bonds of friendship and perverted brotherhood.